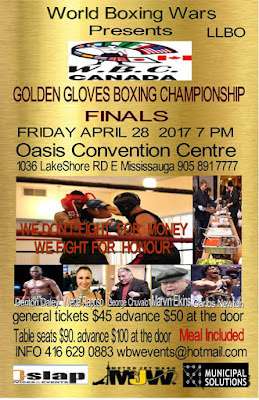 Tonight Teena and I, along with our friend, Trish, were at the Oasis Convention Centre for the Golden Glove Championships put on by former Toronto pro boxer Everton McEwan of World Boxing Wars. Our friend, personal trainer and boxing fitness instructor, Yvette Raposo of Boxing Fit, was the ring announcer and M.C. for the night. There were eleven bouts in different weight categories and all were action packed. 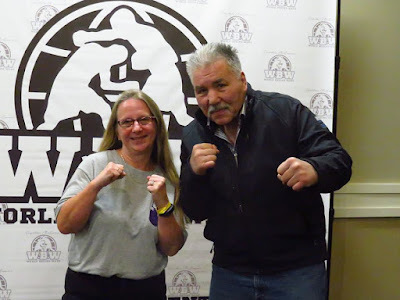 Former Canadian Boxing heavy weight great, George Chuvalo, once ranked number two in world with a record of 73-18-2 with 64 knockouts, watched on with interest. 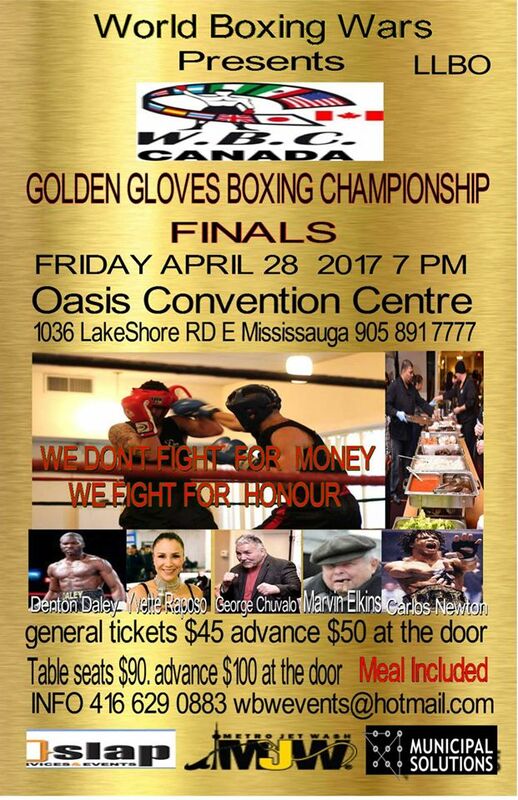 He fought Mohammed Ali at Maple Leaf Gardens in Toronto for the Championship of the world in 1966. He went the distance, never was knocked down but lost. Ali spent that night in the hospital while he went dancing with his wife. More on him later. 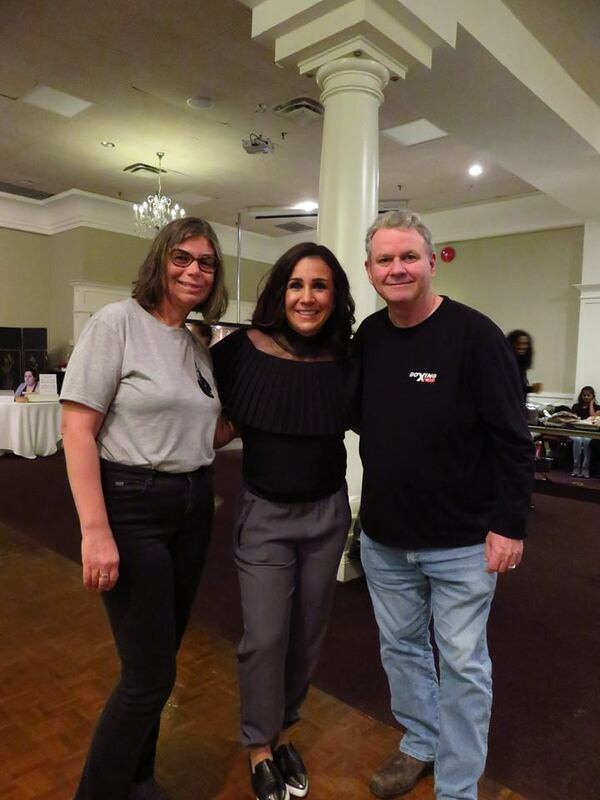 Here are Trish, Yvette and me. Here I am with George. I couldn't resist getting an autographed picture from him. All donations for pictures go to his charity, the George Chuvalo Research Group which helps to teach kids about the dangers of drug abuse and helps to build half way homes for drug addicts. This is what happens when you don't block a shot to the nose. 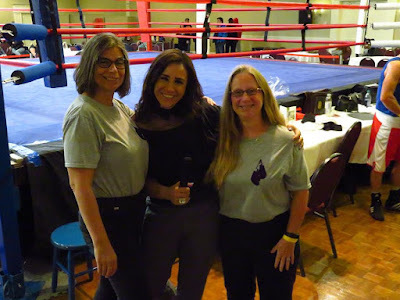 We all had a great time and I'm looking forward to the next boxing event that I get to see.